“Whether you are pulling a weed out of the ground or paying someone else to do it, running over it with the tractor tilling it up, or hitting it with a herbicide, what’s easier to control— a weed inches tall or a weed that’s as tall as me? A root system inches deep or a root system that can go several feet into the ground?” asks Dr. Leslie Beck, Extension weed specialist. “The smaller the weed, the easier it is to control. Next, it’s important to know when that weed is actively growing, she says. 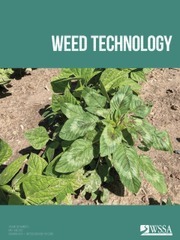 When it comes to weed management, Beck urges growers to be more concerned with what’s below the soil than what’s above. 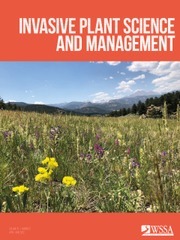 Bindweed’s root system can go down 60-feet deep in the soil and spread another 30 feet through rhizomes, helping the weed steal water and nutrients from the crop and making successful control much more difficult, she says. 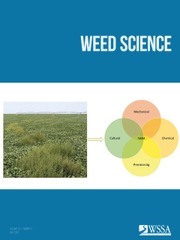 The biology of the weed is also essential in determining appropriate herbicide application if the target weeds have already matured. With bindweed, most people might say summer is the most appropriate time to spray, but Beck disagrees. “I would say in the spring or the fall because we are concerned about what’s below the soil, and the only way we are going to affect what’s below is to make an application when the plant is actively growing. So, what is it doing in the spring? It’s growing back from the root system. If we disrupt that, it can’t photosynthesize and it’s having to use more of that underground root structure to recover.